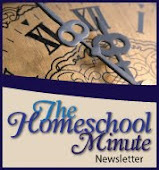 The Faithful Homeschool: HMJ: Yippy It's October Edition! A household fave: clover rolls. I need to put together a Bread Making post sometime and include the recipe for these mouth-watering delights! October 1st just seemed to say "Beef Roast" to me, so I went with it! I was out of carrots but baby potatoes and green beans made for the perfect side... along with a colorful salad. I know everyone is talking Pumpkin Spice this time of year but me... I'm thinking CHOCOLATE! Of course, I think chocolate almost any time of year! These brownies, made with a Nestle Cocoa recipe I fell in love with years ago and frosted with some extra frosting I had leftover from hubby's birthday, were mouthwateringly delicious! I was tiered and hungry so a Fit Frappe from City Brew really hit the spot (other than drinking something cold on an already chilly day)! Call me crazy, but I love the white stuff and couldn't resist pulling off to the side of the road for a snapshot of our town's iconic "Rims" covered with low heavy clouds and dappled with the out-of-season flurries! It didn't stick around though. We were right back to the more typical fall scenery of amber trees and fading greens by the end of the day! School went great this week. Brooke aced her first Geography test and scored equally high on a Geometry terms and concepts Quiz. I'm really proud of her for working so hard and plugging away. She's been watching YouTube videos on tips and tricks with common items from around the house. She found this one (above) for making circles using paper clips! She even ditched her compass this week when circles ere needed! Also this week was some impromptu board work... totally nostalgic! Our Abeka Grammar Comp 11 book was previously used. We hit a section of sentences which had been underlined and I meant to re-type out the page but forgot. Thankfully there was a post-it to hide the work. During lesson planning this summer I had scribbled, "Mom Fix" across the yellow sticky-note. As we sat down to do our lesson and I realized my mistake I opted to go old-school and wrote the sentences out on the board instead. My geeky teacher side didn't want to erase because it looked so pretty!! But alas, I needed the whiteboard space for other lessons so I snapped a picture to share here today and then erased away. Friday wrapped up our week by starting the day with the first meeting of our new Bible Study. Brenden and Ashley are both available Friday mornings and wanted to dive in on a group study with us. I printed off the Psalm 119 guide I put together for this month's newsletter* (see bottom of article for details if you would like a copy) and everyone has been digging in. After our time of prayer and study discussion the kids commented how much they are enjoying the new study! Being prompted to own their own study had actually caused them to dig deeper! It warmed my mama's heart to learn that. The day rounded off by dropping Brooke at the church where she hopped on a bus with the rest of her youth group to enjoy their annual weekend fall retreat. She was excited to spend a weekend in Bible Study, Worship, and just hanging out with all her favorite non-family people!! I'm sitting at home hoping she packed a winter cap and coat because it is getting even colder than last weekend!! I did love her hair-do she was sporting, she's so creative. Seemed perfect for fall+camp+friends! And that's a wrap for us! Next week is our first week off for the school year. I tried to schedule a week after every 6, just so we could get a breather before plugging away at more. I believe it has been well earned. She plans to still work on her assigned reading (currently in Treasure Island) and scribble a bit on her semester project for Geography. I plan to back-log some articles, catch up on extra cleaning, winterize the yard and possibly dig into my attic which needs desperate attention. 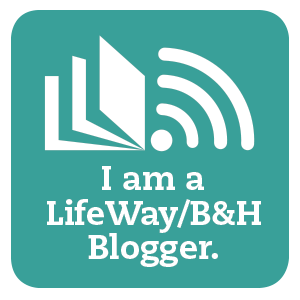 If you or anyone you know has a kindergarten or first grader who might be interested (public or homeschooled), tell them to keep an eye out on my blog. My review will be raving and since teaching elementary age is a distant memory for me, I would like to do a give-a-way with it! The new kitty is quite at home and hubby's heart seems to be healing well with cuddles like these! I'd say it's the best gift for a cat-loving man like him! I hope your week was full of warm, cozy, amber glows and sweet pumpkin pie spice feelings. And if it wasn't, I hope and pray you will remember: next week is a new week to begin again! All your fall foods look very yummy!! Congratulations on your anniversary, and best wishes to your daughter as she prepares for her drivers test.